​Ever since Pat Riley brought the Big Three of LeBron James, Chris Bosh and Dwyane Wade to Miami, Heat fans always expect that every available star player will end up in South Beach. This assumption has proven to be false over the past five years, as the biggest "star" that the Heat have acquired has been Goran Dragic. 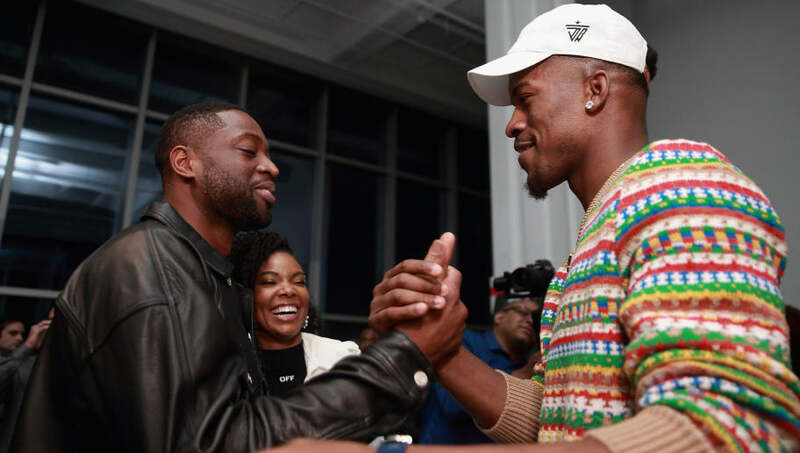 Riley continues to take big hacks to land his next star player though and it looks like a marriage between Miami and disgruntled star Jimmy Butler could be on the horizon. ​​Butler informed the Minnesota Timberwolves this past week that he would not sign a long-term contract extension and would like to be moved in a trade as soon as possible. ​His preferred list of destinations did not include Miami, likely due to the fact that they do not have the cap space to partner Butler with another star player in free agency next year. Still, the Heat believe in their culture and probably feel that if they have a year with Butler then they can persuade him to stay long term. ​​This Heat season is all about ​the farewell tour for Dwyane Wade, who recently announced that he will retire following the season, but Butler would make that season all the more meaningful. Butler and Wade played together on the Chicago Bulls a few years ago and are close friends, making a trade more appealing to Butler. For Wade, the addition of Butler could mean one last deep playoff run in a wide open Eastern Conference.